Please read this FAQ page carefully before contacting the Co-op. PLEASE do not contact Thinkwell directly prior to making your purchase. Refer to this page for more information and support. The Co-op has FULL RESPONSIBILITY for getting your questions answered prior to purchase. After you have purchased and are set up by the Co-op, you are entitled to technical support directly from Thinkwell. What version of Thinkwell's courses am I purchasing through the Co-op, and what do I get with the purchase? The Co-op is offering the Homeschool version of the Thinkwell online courses. The Homeschool version is an online product. 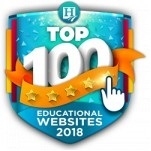 Thinkwell's award-winning online video lectures. Students can watch them from any computer, at anytime. Chapter practice tests and chapter exams, as well as practice midterm, practice final, midterm exam and final exam. Website access of 12 months. Does my purchase include CDs? No, your Thinkwell purchase is only for the 12-month Online Subscription. However, depending on the course, there are additional supplemental materials (optional) available for purchase separately. Check the Thinkwell website for details. If your course does include additional supplement materials (optional ) you can purchase these separately by contacting Thinkwell directly: (800) 684-8880, ext. 131 or ext. 114. Sorry, no discount is available. I already registered for my online subscription and would like to purchase the supplement material. How would I do that? Simply log into your Thinkwell account and purchase items directly from Thinkwell by selecting "My Account" at the top of the page. Then, select the link that says: "Click here to purchase additional items for this course." Following these steps should take the you to the online store for that particular course's supplement material. Optionally, you can call Thinkwell directly: (800) 684-8880, ext. 131 or ext. 114 to purchase. Sorry, no discount is available. When will my 12 month's Thinkwell subscription begin? You buy the course(s) through the Co-op. We will provide you with your own unique subscription code (also called an "authorization" code) for each course per the Terms & Conditions. Your subscription code will be published in your Co-op Account for one year. When you are ready to start the course, go to the Thinkwell site using the link we give you in your "My Subscriptions" page. Register for the course and enter the authorization code. The course begins when you complete Step 4, and continues for 12 consecutive months. So, you can purchase the courses now, but wait to start them until the time of your choosing. We recommend that you activate your authorization code within one year of purchase. However, if you do not, it is your responsibility to make a copy of the authorization code and link for safe keeping. How long will it take my student to complete a course? The pacing of any Thinkwell course is dependent entirely on the individual, and all students may not choose to start and/or stop at the same point. While some of our courses were originally designed as college semester courses, for the majority of the homeschoolers who are taking them in middle or high school they are year-long courses. Our suggested lesson plans lay out each course over the course of 34-38 weeks, depending on the course. 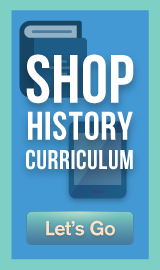 The lesson plans for each course can be found on the product pages at www.thinkwellhomeschool.com. Calculus, Biology, and Chemistry are two-semester courses. If I buy now, can I save the subscription code and use it later? How long will my subscription code be valid? There are no limits on the validity of the subscription code. It is valid until it is used, at which point the course is then available for 12 continuous months. However, we recommend that you use the subscription code within 6 months. That's the Co-op talking, not Thinkwell. Just to be safe. Is it possible to extend a course beyond 12 months? Yes, but not through the Co-op. You can do it directly through Thinkwell. Sign into your Thinkwell account (using the "My Account" link). You'll find an option to extend your subscription by 1, 3 and 6 months (prices vary). Can I suspend my subscription after a few months, then restart it for the remainder of the 12 months? No. Once you activate your subscription with the subscription code, the subscription will continue for 12 consecutive months. We expect to have an affordable way for you to extend a subscription in 12 month increments. Are these courses complete curriculum or to be used in conjunction with other material? If these are complete courses, are they considered honors level? The Physics title is a calculus-based physics: what you would encounter at a big university freshman "physics for science majors" course. It's appropriate for AP physics, however, we only have Physics I, where most colleges will treat physics as a 2-semester course. So in that way, it may require some supplemental material. One can check the table contents to compare topic coverage with the AP exam. Our Bio and Chem are also built to the college freshman level majors courses. Non-majors courses use them as well by covering fewer topics and in less detail. Calculus is a full 2-semester college course, what would have been the beginning math course at respected universities in the days before 45% of college kids not being able to do algebra (Harvard currently runs 6 sections of precalculus). It's a great prep for the calculus AP exams. We find a one-semester course at the college level is usually a one year course in high school, but the topics are very similar. Any of our titles are designed to replace the textbook and the need for any other supplemental material is purely optional. What is the difference between an AP course and a regular Thinkwell course? "The AP versions of our courses are simply modified versions of our full courses and contain only the material that is covered in College Board’s AP Tests. They are designed specifically for students planning to take the actual AP Test. If a student is not planning to take the AP Test in the desired subject, we recommend the full course instead, as it contains all of the Topics in that course." What are the pre-requisites for their Science courses, i.e. Bio, Chem, Physics? Do they need to be taken in order? Are there any Math prerequisites? "Chem tends to be more math-dependent than Bio, and while we don't have any prerequisites, College Algebra or High School Alg II is typically taken before these science courses in colleges. Our Physics is calculus-based (usually for science or engineering students) as opposed to a lighter algebra/liberal arts physics." Can you tell me about the political point of view that is presented in Thinkwell Social Studies and Science? From a quick look, the material seems to be taught from a Liberal perspective. "Thinkwell uses a traditional approach to teaching and learning in our American Government and science courses. We do not adopt a particular ideology or world view; our lessons mirror those found in a standard high school or college curriculum. We have designed our courses to provide students with the facts that they would be expected to know if they were enrolled in a high school or university. If you'd like to take a closer look at what we have to offer in this area, you can sign up for a free trial of our courses . You can also check the table of contents for each course to see in greater detail the lessons and concepts covered." Is Thinkwell's AP American Government course a College Board approved course? In other words, is it legal for me to state on my homeschooler's transcripts that it is AP? "The important distinction to make here is between a course that can be officially labelled as AP on a transcript and materials that are designed to prepare a student for the AP Exam." However, that doesn't necessarily mean that Thinkwell couldn't be used in an AP course. In this case, the homeschool would need to submit their syllabus for review by the AP Course Audit through the College Board website. While we are confident that our materials will help students perform well on the AP Exam as well as master the material in question, the official AP designation is only available to courses that are approved by College Board. For what grade levels are the courses intended? Thinkwell doesn't publish target grade levels for the courses. However, we are guessing that what you really want to know is "Which courses are appropriate for MY child?" - Check the Table of Contents for each course you are considering. That will give you a feel for the level of knowledge needed. We have published links to each course's Table of Contents on the order form. - Have your student take the demo class, and see how he/she reacts. Did it mostly make sense? Or was it hard to understand? Do the CDs contain the entire program, including practice exercises and tests? No. The CDs have only the videos. Everything else is online. Thinkwell recommends the CDs for those with slow Internet connections. But the text materials are easily accessed online, even with a slow Internet connection. Can students skip around in a Thinkwell course, or do they have to go one topic at a time? Students can easily skip around in Thinkwell topics; the program does not require a student to complete any topic before moving on to another. Do you know if Thinkwell employs a mastery or spiral approach? This is what Thinkwell had to say: "I can only provide my opinion: I believe the "mastery" or "spiral approach" is inherent in math. It's not practical to perform higher math operations without knowledge of the less complex component operations. That being said, there is substantial review across Thinkwell courses to help reinforce critical foundational concepts." Do Thinkwell Math courses meet national standards? Yes, the Thinkwell math courses are built to national standards and are in fact used in many accredited schools. Do some of the courses have the same content? Yes. Some video segments in math will appear in more than one course, however, the corresponding exercises are not the same. Thinkwell courses tend to be slightly overbuilt (content starts earlier and ends later than typical textbooks), which contributes to this sharing of videos. Thinkwell titles are built to reflect the coverage of the leading textbooks. How often can I take the tests? The practice chapter tests, practice midterm, and practice final exam can all be taken as many times as needed. The only assessments that can't be taken more than once are the chapter tests, the midterm, and the final exam. You can take each of these tests ONLY ONCE. May the exercises be repeated as needed? Should a student take AP Calculus BC in 12th grade if he took AP Calculus AB in 11th, or is it redundant? Our AP courses are specifically geared for students who are planning to take the AP test. If they are not, they might as well purchase the full Calculus course. Consider Calculus to be made up of three sections: A, B, and C. The AP board divides their Calculus tests into two parts: AB and BC. Thus, the B part in each AP course is the same. A student taking Calculus AB and BC in a school AP Test Prep class is going to experience the same redundancy that our AP Calculus AB and BC products contain. Can a single subscription be used by two students? Several students could of course watch the lectures, but the practice and chapter tests can be taken only once. So, if you want to get the full benefit of the program, you should purchase a separate subscription for each student. Does Thinkwell employ a mastery or spiral approach? Is there asystematic review of previously learned topics in both the exercises and in the chapter tests? Here's the response from Thinkwell: "We believe the "mastery" or "spiral approach" is inherent in math. It's not practical to perform higher math operations without knowledge of the less complex component operations. That being said, there is substantial review across Thinkwell courses to help reinforce critical foundational concepts. The Thinkwell math courses have practice tests and final tests for each chapter, as well as a final exam. Is it possible to print out exercises, practice and final chapter tests so that a student can work on them away from the computer? Yes, for homeschool students the printing of assessments is allowed. Do the Thinkwell science courses contain labs? No. 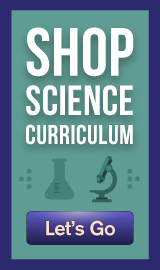 There are a few classic lab experiments that are reviewed in the Chemistry and Biology courses, but Thinkwell does not supply any lab kits or hands-on labs. Can a course be extended, then resumed later? What do I do if my question is not answered on this page? You can submit your question at the Contact Us page. We will answer your question and update this page as well.